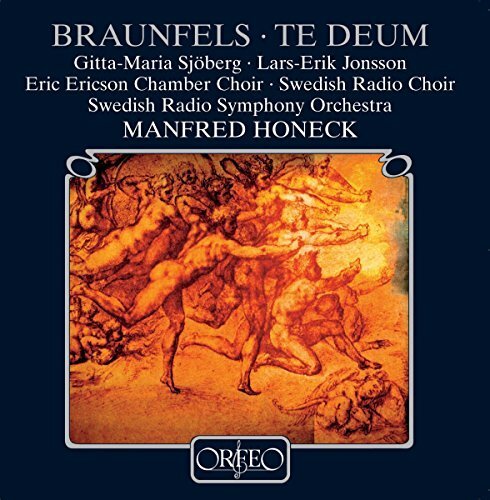 I have been bowled over by Braunfels’ cosmic, cathartic Te Deum. Half-Jewish by birth, Catholic by creed, and deeply opposed to the rise of the far right in Weimar Republic Germany, Walter Braunfels (1882-1954) wrote his Te Deum in 1922 as a reaffirmation of his own faith after experiencing the horrors of the trenches during the first world war. Conceived on an enormous scale, it's a monumental, powerhouse score that equates war with apocalypse and envisions peace as the re-establishment of God's kingdom on earth. 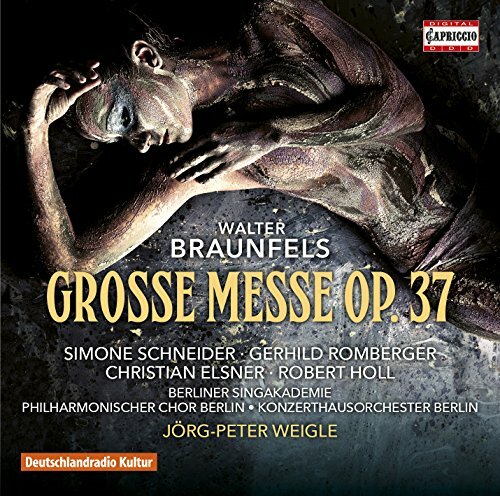 Braunfels' idiom, richly coloured yet harmonically austere, creates an impression of great numinosity by means of unresolved suspensions and slow rhythmic repetitions. Some may find the majestic optimism of the closing pages naive in the light of subsequent history, which saw Braunfels dodging the Nazis by retreating from public life into compositional silence. The best of it, however, stands comparison with both Berlioz's Te Deum and Britten's War Requiem, which is saying a lot. Conducted by Manfred Honeck, the performance features the Swedish Radio Symphony Orchestra and Chorus and the Eric Ericson Chamber Choir, all of whom are on blisteringly committed form. The recording is far too reverberant, but it all makes for overwhelming listening nevertheless. As the saying goes, I can’t wait. But wait I will. Another listening to the Te Deum will take place first. It features concertmaster Rafael Druian and principal violist Abraham Skernick. You talk about chemistry between the two soloist and there you have it. The violin and the viola seem like it is a single instrument. The slow movt might seem a bit plodding by today's standards but Szell makes it so detailed and transparent you hardly notice it. 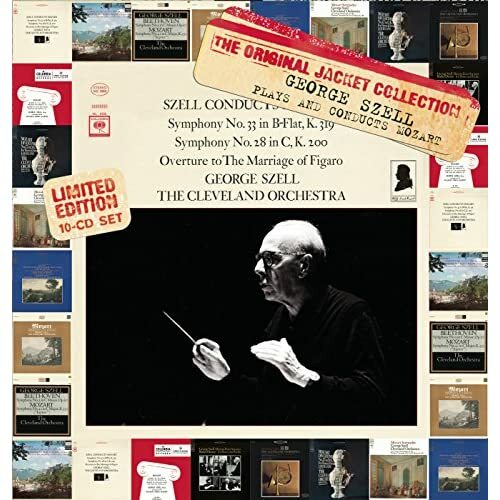 I wonder what it was like to be concertmaster to Szell, literally inches away from his baton. Britten's violin concerto - first listen in concert last night, at Tonhalle (cond. Juanjo Mena) with Julia Fischer in great form. Now have to check out some recordings, I guess. I have Menuhin, Haendel, FP Zimmermann and Frang and am inclined to start with Frang (i know where that CD is located - ah, ok, I see the Haendel is in the EMI britton box, maybe I start with that then). Going through the string quartets of Ernest Bloch, I have been struck at how powerful yet concise nos 2 and 3 are. Instant hits both. 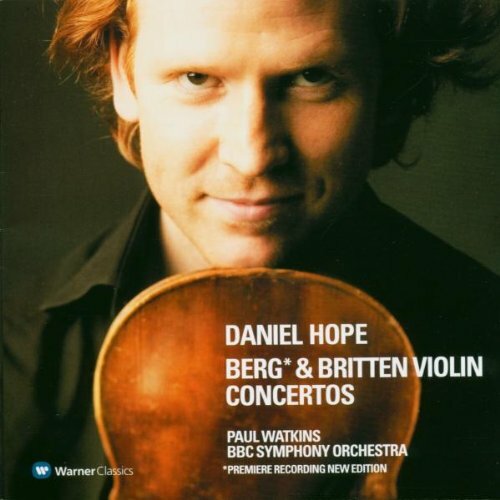 My favorite performance of Britten’s Violin Concerto is with Anthony Marwood with Ilan Volkov conducting the BBC Scottish SO on Hyperion. You should definitely check this performance out. Also, if you haven’t heard his Double Concerto, then please do so! 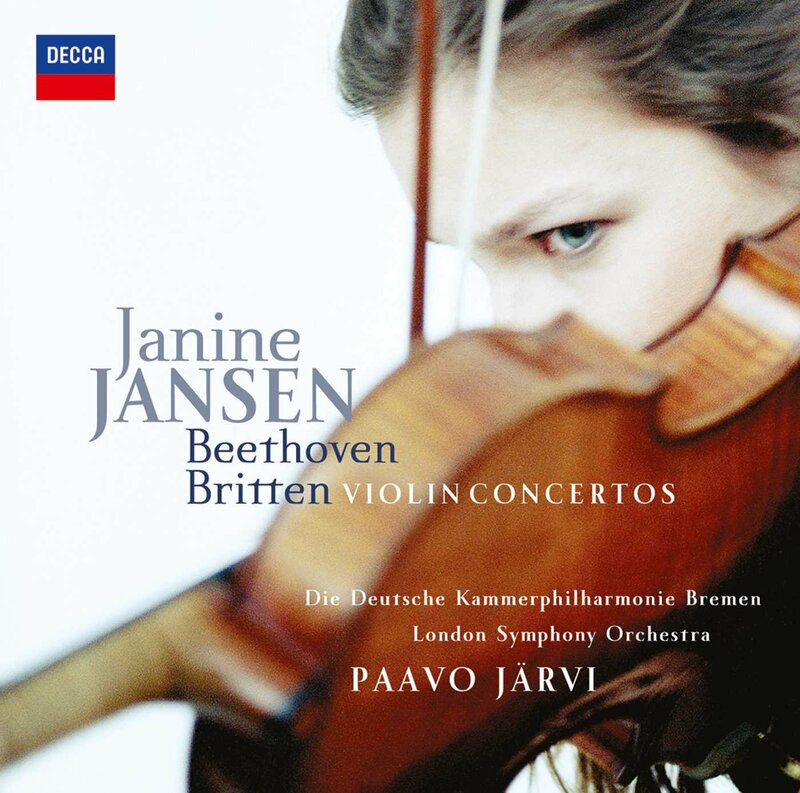 Janine Jansen plays the Britten with an incredible intensity, especially in the final minutes. Her violin sounds as if it's crying. I also really like Daniel Hope's performance, which is paired with Berg's VC. There's a healthy amount of recordings of Britten's work, I haven't heard them all but it's a piece worth exploring. My favorite performance of Britten’s Violin Concerto with Anthony Marwood with Ilan Volkov conducting the BBC Scottish SO on Hyperion. You should definitely check this performance out. Also, if you haven’t heard his Double Concerto, then please do so! Hi, John. That's a very good album you mentioned, showcases Britten's ability to write so lyrically, and emotionally for solo strings. I recommend as well! Braunfels is another nearly unknown genius of the past buried by circumstances of history. One Amazon reviewer gave a one-star rating because his download of the work malfunctioned!!! I wish people would understand that the rating is supposed to be for the performance, not for technical issues unconnected to the performance and the work itself. Hey Greg, to be even more honest, I love the whole Britten Hyperion series. The Te Deum certainly blew me away, the more so as it made its way to the last movement. The cumulative impact was shattering. The Grosse Messe is on its way - hopefully I’ll get it next week. Each time I hear the majority of Debussy’s solo piano music, I’m blown away, but this really goes for most of his music in general. The guy really has become my musical soulmate over the past year or so. Glad you're enjoying them, André! Bloch is such a fantastic yet underrated composer. Yeah, I hate when Amazon reviewers give low ratings because of technical/shipping problems! It's so misleading for potential buyers of the product in question. The fugue afterwards is also great. A good example of Richter's piano style there, he makes a synthesis, a blend. I have a quite decent Bloch collection, actually, but the quartets had always escaped my attention. I’m glad this is remedied now . Yesterday I listened to the 4th quartet but didn’t quite connect with it: a rather angry piece, unrelentingly off-putting. But that’s only an initial impression, I’m not discarding it at all. Very often repeated hearings of such works allow me to penetrate the spirit behind the surface . The middle quartets are those I preferred, by far, both in their language and construction, with intellect and emotions in perfect symbiosis. Hopefully potential buyers will be intelligent enough to see past that. Like, if the majority of reviews are 4-5 star then you get just 1 or 2 one-star reviews, you just brush those aside because they're irrelevant. But yeah, it's immensely annoying. Get the piano quintets (esp. the first), if you don't have them already (hyperion).